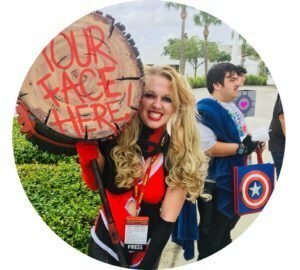 In May of 2017 in Orlando, Florida, MegaCon held its annual convention for geeks and geekettes around the country. The convention was stocked with art, celebrities and cosplayers from every fandom. The event was especially memorable for some, as it was Stan Lee’s (creator of Spider-Man, Thor and Iron Man, among many others) last ever appearance in Florida. 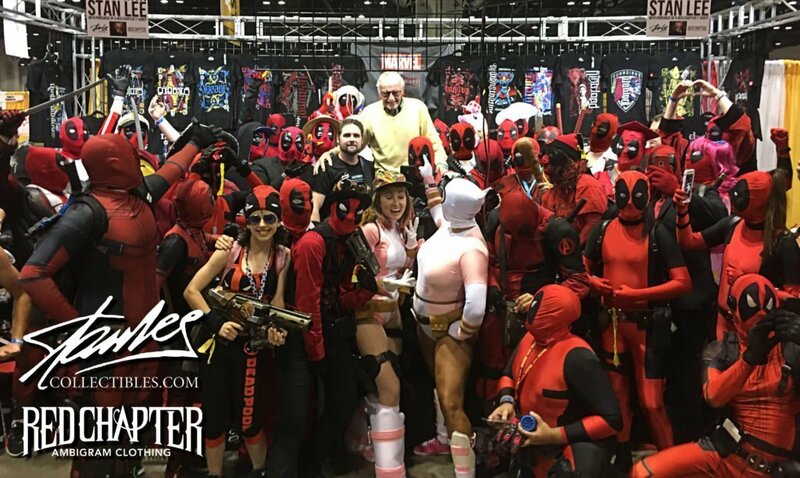 While most find it incredible that Lee still travels the world to meet his comic book fans at the ripe age of 94, Lee decided to step it up a notch by surprising his #Deadpoolfans with a special photo op. The clothing shop in question is Red Chapter Clothing. The owner of the shop, Mark Palmer, told us that he has ties with Marvel ever since his company teamed up with them to make co-branded MARVEL ambigram shirts. After this partnership, they got in the loop with Stan Lee Collectibles and travel with Lee and his team to conventions like MegaCon. Word got out about Lee’s possible appearance and they somehow managed to get the plethora of Deadpool cosplayers to act on their best behavior while they awaited the verdict (how uncharacteristic of Deadpool). Sure enough, within minutes Anderson returned with the father of Marvel. Lee actually stepped away from his signing to take pictures with the Deadpool cosplayers. They put a stepladder in the middle of the sea of Deadpools, and Stan climbed up and smiled alongside his star-struck fans for one unforgettable photograph.